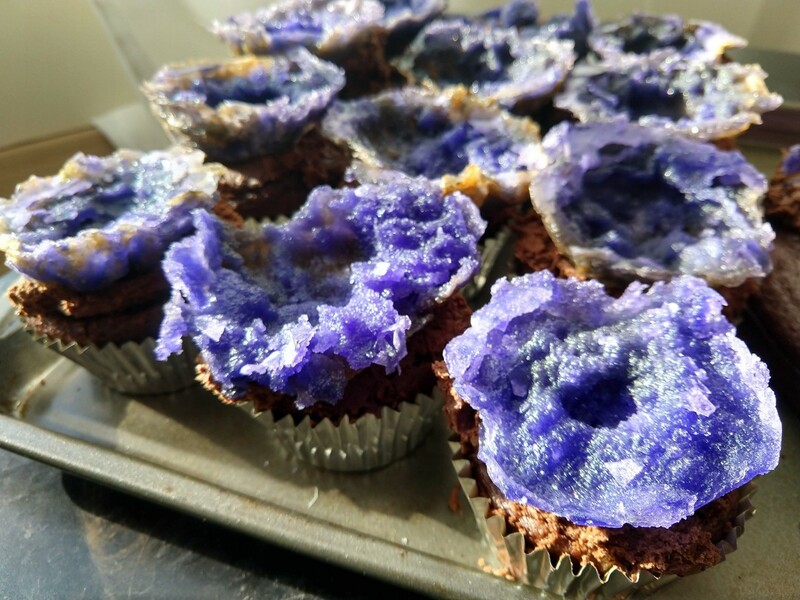 So, I finally finished the geode cupcakes and jewel shard cake that I planned weeeeeeks ago. 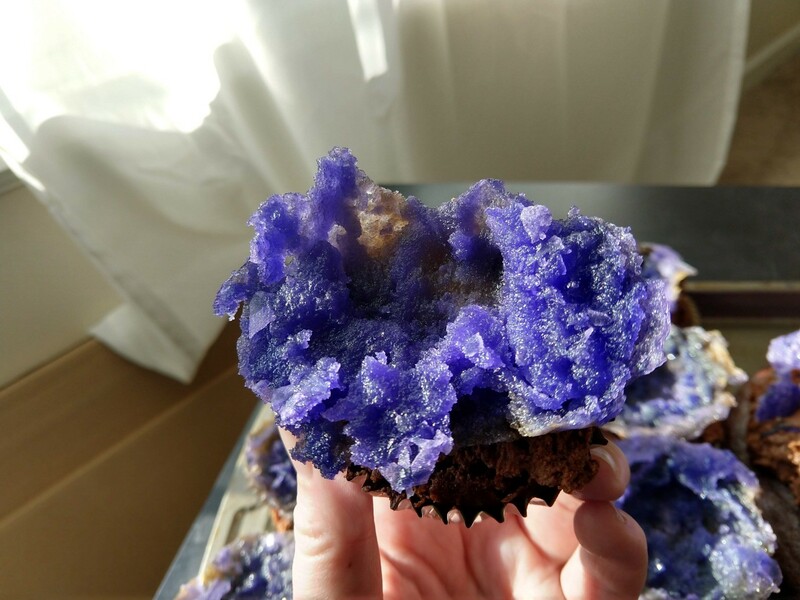 The geodes and shards have been living in a box for a month but it's just sugar so they're fine. 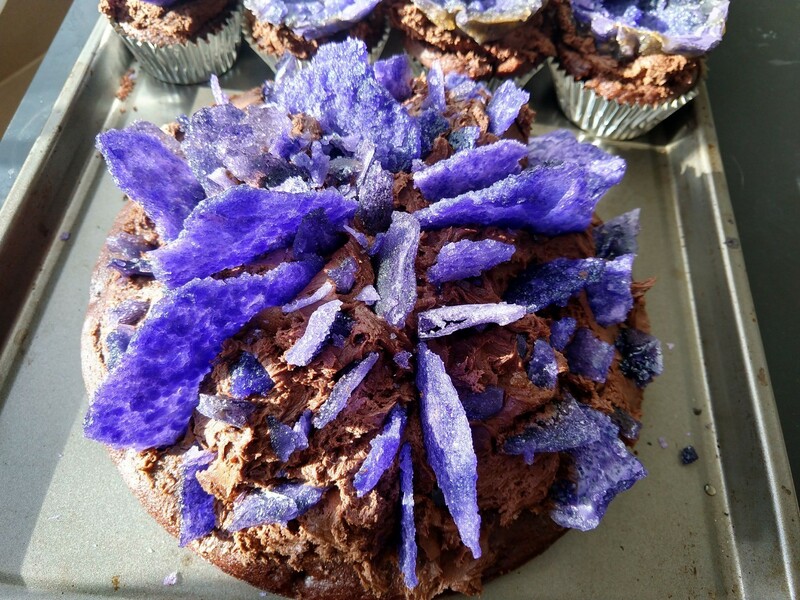 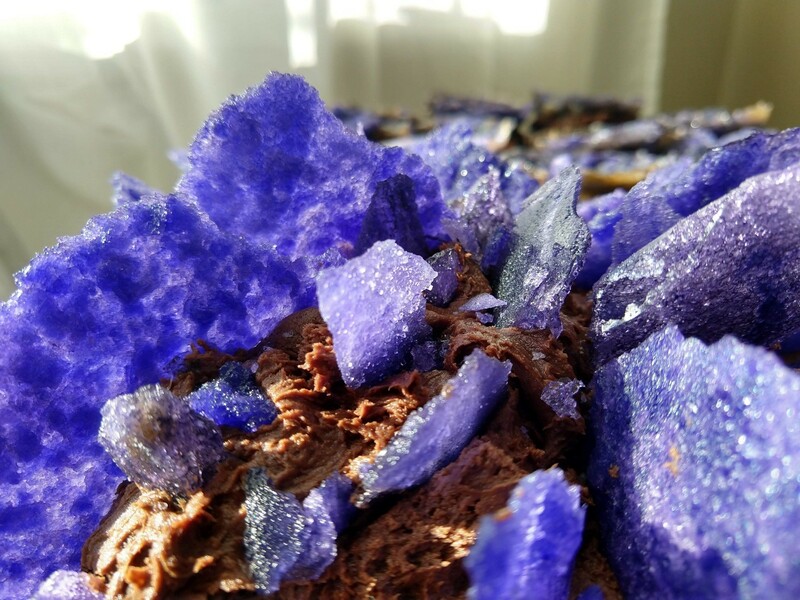 https://www.howtocookthat.net/public_html/rock-candy-geodes-recipe/ This is one I've used previously which I think worked better.